Editors released their third album, 'In This Light And On This Evening on 12th October 2009. The album represents a significant step forward for the band following the huge successes of debut album 'The Back Room and the Number One follow up 'An End Has A Start. 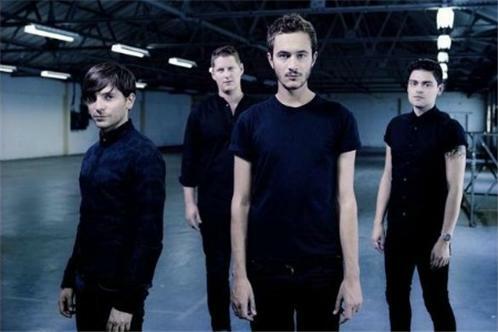 There have been many changes to life in Editors since 'An End Has A Start broke the band worldwide and established the then Birmingham based four piece as one of the UKs most prominent bands of recent times. Bassist Russell Leech and guitarist Chris Urbanowicz are now resident in New York whilst singer Tom Smith has become a father. These changes added to the sense that 'In This Light And On This Evening was the start of a new chapter for Editors and the band came together in London for the recording sessions with producer Flood at the start of 2009 with a determination to push their sound into wholly new territory. Whilst all four members were keen to make a far more electronic record, they were determined to 'give the machines a human feel in the words of lead singer Tom Smith. London dominates the record, both lyrically and musically. According to Tom, now resident in the capital for four years, 'I actually think its in every song. In the right time and place, in the right light and on the right evening, something you have seen 1,000 times before can still take your breath away whilst the background of electronic whirrs and hums that run under many of the tracks mimic the constant background noise of the city. Renowned for their explosive live performances, the release of the album sees the band return to UK dates for the first time since their triumphant double header at Alexandra Palace in March of 2008. Prior to those concert hall shows, the band appear at selected festivals throughout Europe. Dates follow overleaf.